Maybe not so much a robot as an absolute positioning system for one. 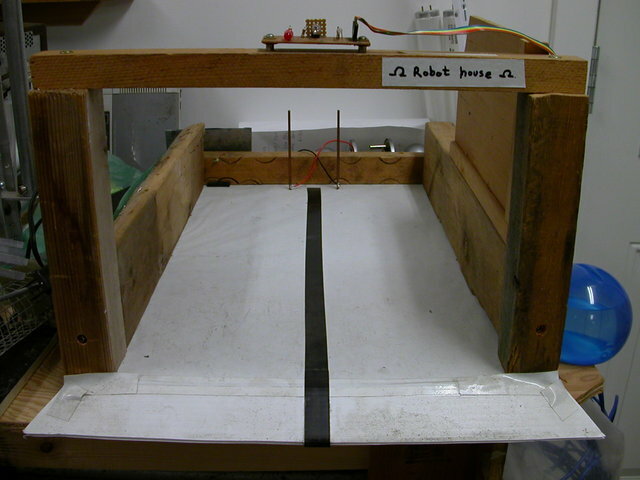 Uses a sweeping laser beam on the robot and a set of known position monuments to determine position. 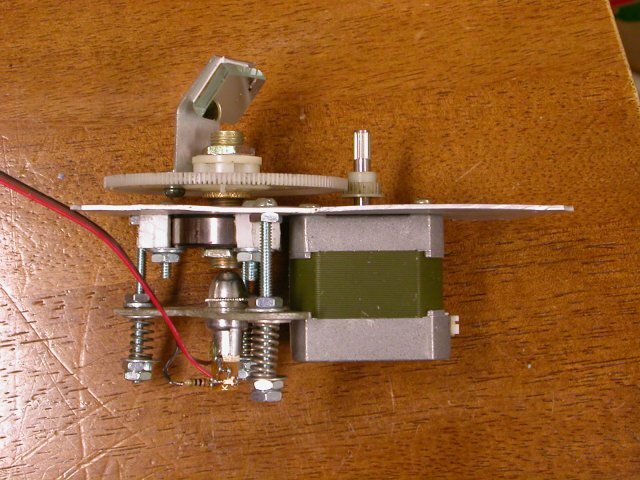 I believe this is one of my first robotic arm projects. It uses steppers on theaded rod. 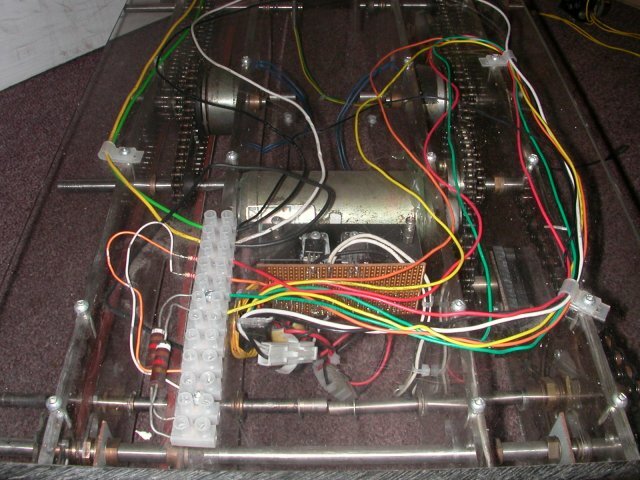 I believe this was my thrid arm project. 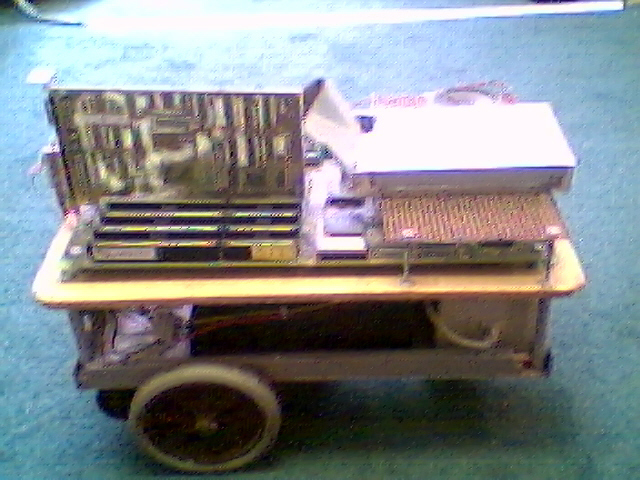 This one uses dc gearmotors and chain drive. Its box beam. 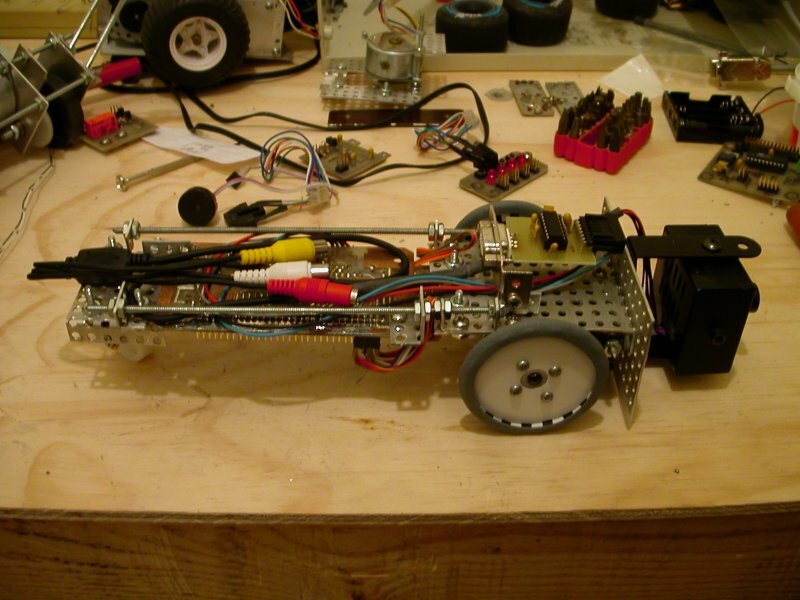 The first in a series aimed at an 8 legged, 4 axis per leg ROV battlebot. This is just a ROV camera, teathered. The second in a series aimed at an 8 legged, 4 axis per leg ROV battlebot. This is just a ROV camera. This one is big enough to be unteathered. 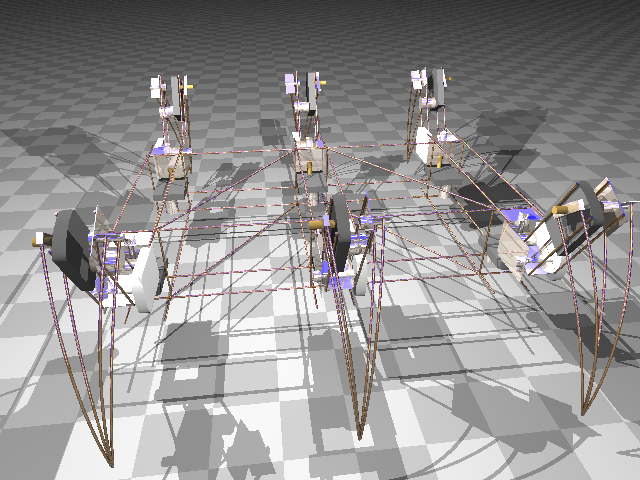 The third in a series aimed at an 8 legged, 4 axis per leg ROV battlebot. This is a hexapod, which also doubles as a software platform for developing walking. A plexiglass robot designed to deliver coffee to needy office employees. 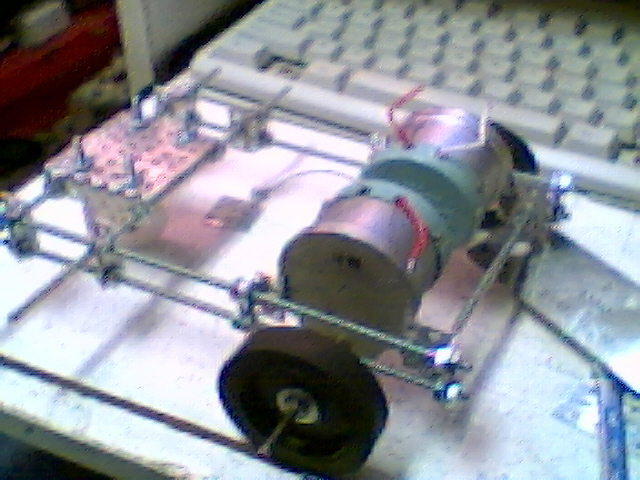 Uses a single motor with brakes and clutches. ROV camera to navigate the ductwork and find out why no air was getting to the livingroom. Some quick sloppy fun making an animated head. 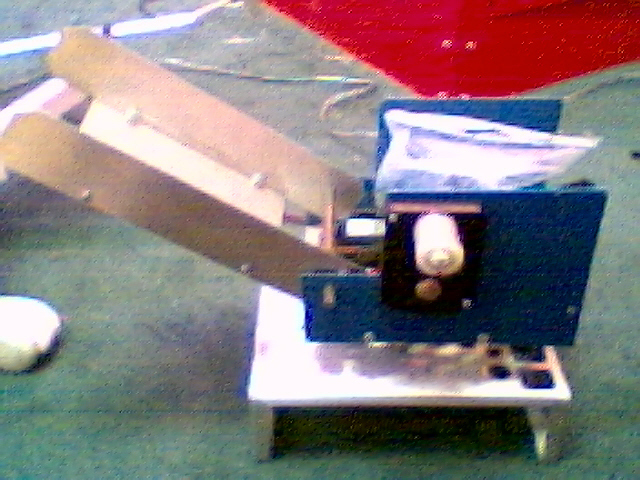 Smasll cut-n-nut platform, uses DC motors. This one is a work in progress to help keep the lawn under control. One of two robots made for developing various softwares and stuffs. 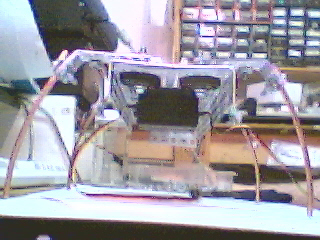 They are equiped with a number of sensors. 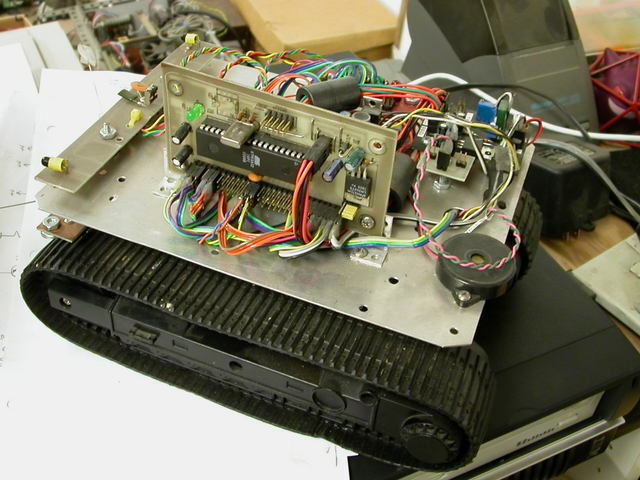 The second of the development platform robots. 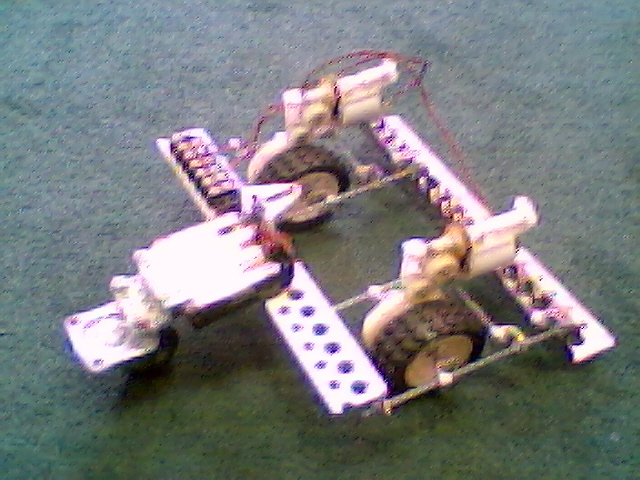 This is the charging and reprogramming station for the multibots. It has things to help the robots park in it. 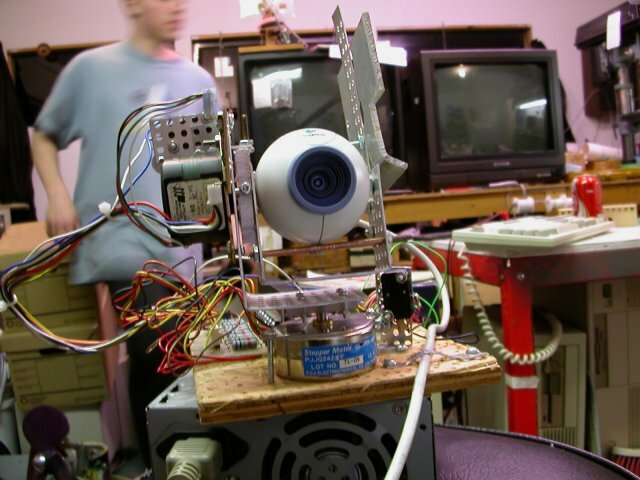 What it needs is a new name, but anyhow its a cut-n-nut robot that operated under IRC control, with streaming video. 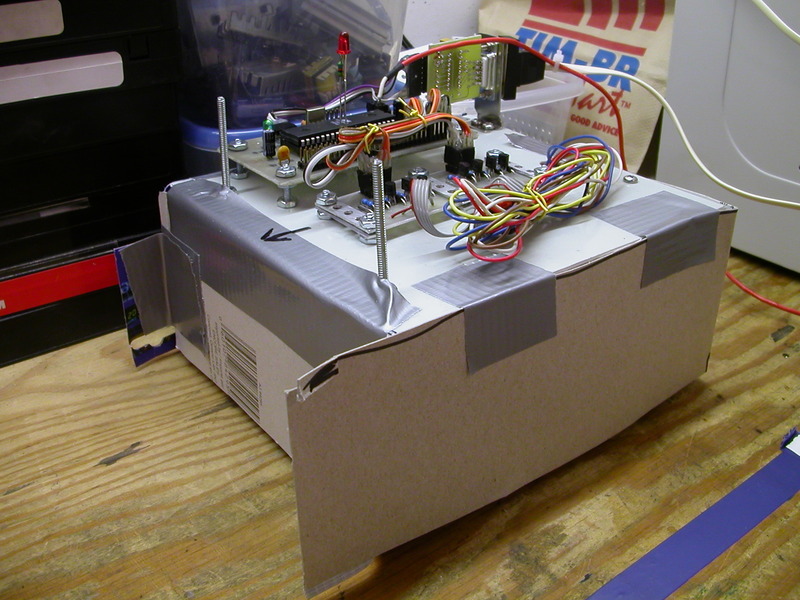 A robot for even the largest of procrastinators. Primarily includes a howto on contruction. 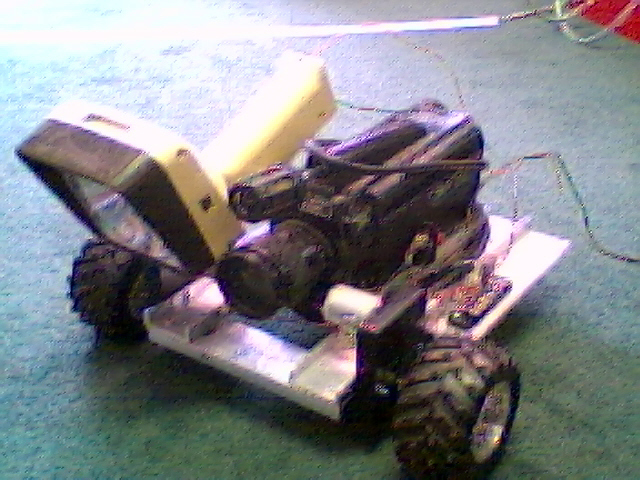 Rov pipe inspection robot, the interested feature of this is the challenge to use 2 wires for both power and control. 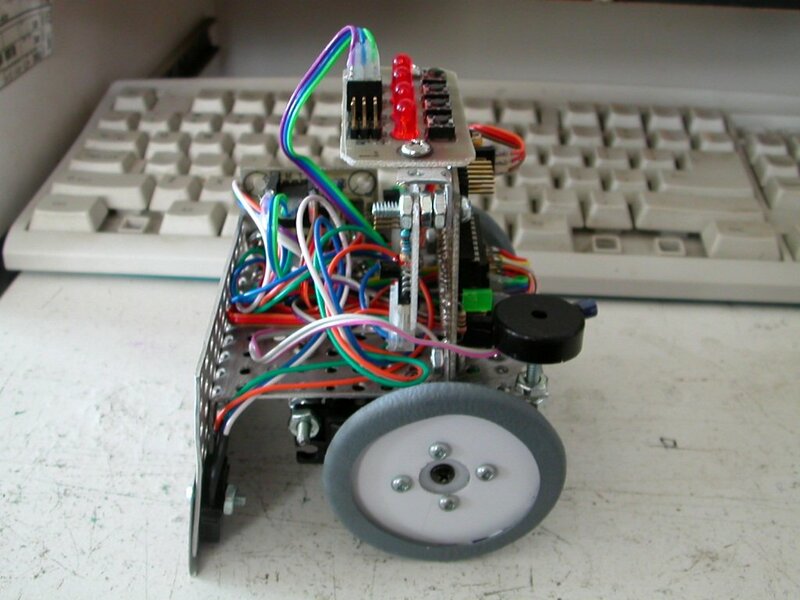 This is the start of a beginners howto for building a robot with parts that just about anybody, willing to build more than the nothingbot, can get. 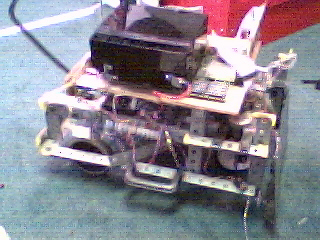 A robot built for competing in some sumo wrestling. was temporarily turned into the ductbot. 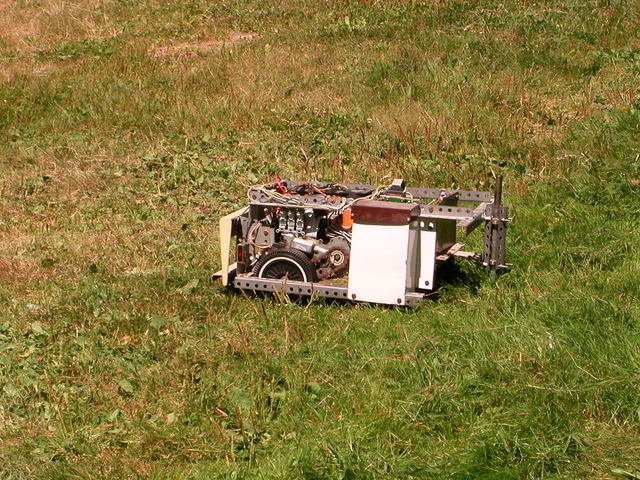 The second robot I'v built with an onboard PC, same as the mowerbot it uses a 386 (5V only). 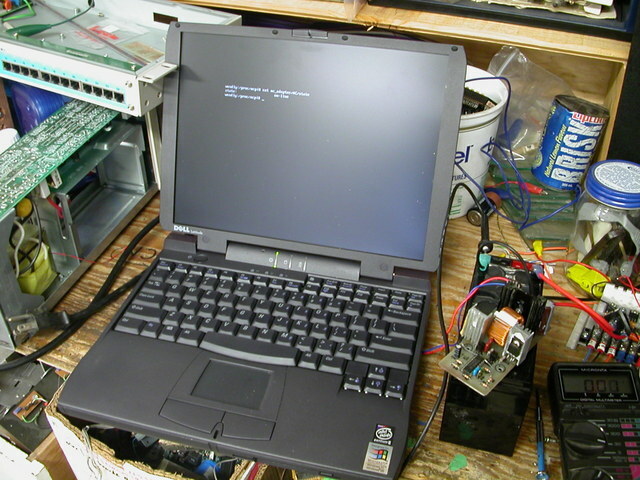 Also my only vector drive. 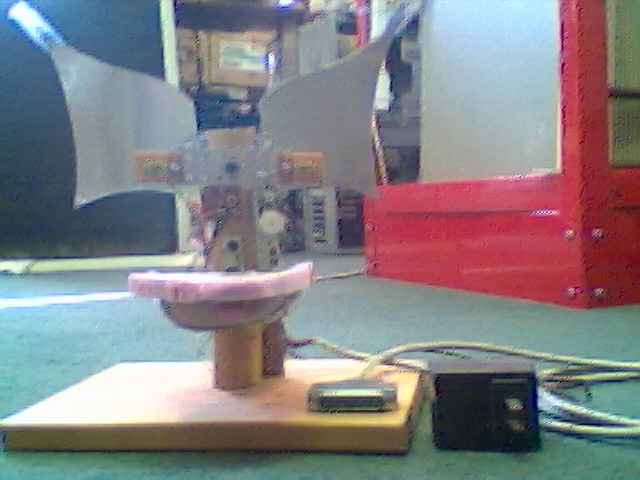 A camera tilt and pan, quick and dirty build, used stepper motors. 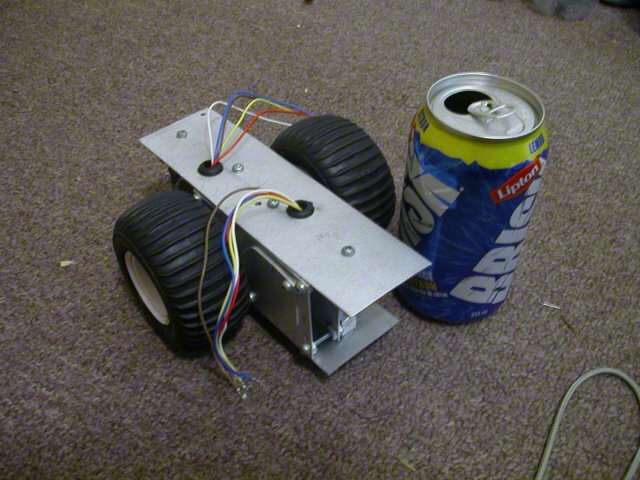 One of the irc members designed a robot type deemed 'Tiptoes' This is my 'Tiptoes' its "Fred". 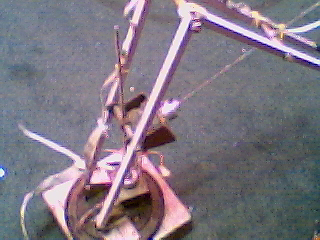 Tiptoes is a simple hexapod. There are only so many descent robot names in the world. 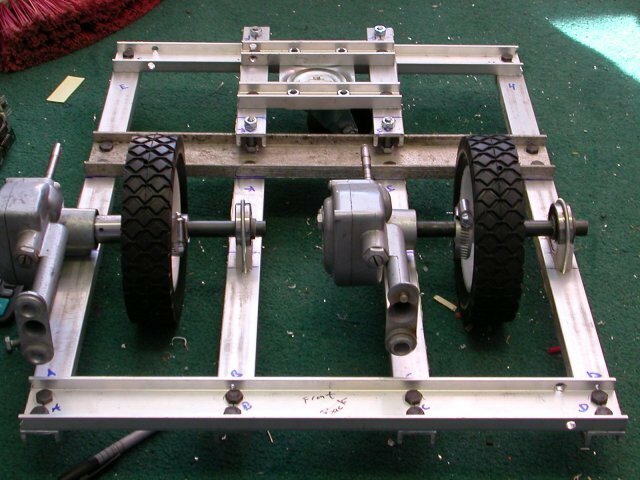 This was designed as a platform I could safely develop software for the mowebot.